Swedish brewers Brewski are passionate about what they do: brewing great beer. And they are proud to put their heart and soul into their passion. Like little sister Pango IPA, this Double IPA is full of refreshing tropical notes, pouring hazy yellowy-orange with a small white head. 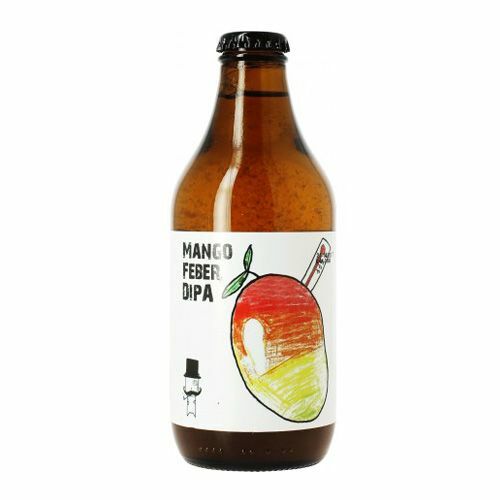 Mangofeber shows off its tropical side with a generously malty, hoppy base note, over which floats a mix of mango, caramel, and citrus fruit scents. The palate is also powerfully hoppy, giving a lasting bitterness, and thick with mango, caramel, malt, peach, fruit and more citrus, for a dry, bitter finish.